TV series new and old available on DVD and streaming. With the news that the classic 80s TV show - Hill Street Blues in now available on DVD, I thought it would be a good idea to discuss some of the other great series available on DVD or streaming. This list does not include series that are currently in production, but only series that are available in their entirety on DVD or streaming services such as Netflix or Hulu. 30 Rock - Liz Lemon, head writer of the sketch comedy show "TGS with Tracy Jordan", must deal with an arrogant new boss and a crazy new star, all while trying to run a successful TV show without losing her mind. I love this show, it sometimes requires repeat views so you pick up on some of the gags you missed the first time around. Breaking Bad - To provide for his family's future after he is diagnosed with lung cancer, a chemistry genius turned high school teacher teams up with an ex-student to cook and sell the world's purest crystal meth. This series was great from the writing, directing and acting down to the photography and music choice. SPOILER: This scene takes place late in the series. If you're planning to watch the series, hold off on watching this. 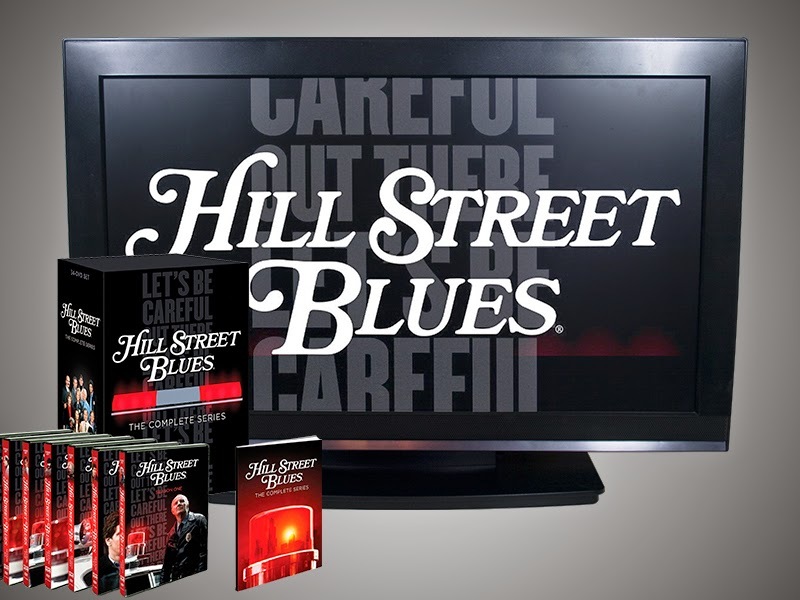 Hill Street Blues - For the first time ever, the complete series of Steven Bochco’s landmark drama Hill Street Blues has arrived on DVD. Originally broadcast on NBC from 1981 to 1987, these 144 episodes represent compelling and groundbreaking television at its finest. This show which followed the lives and work of the staff of an inner city police precinct, was one of those shows that you never knew what was going to happen from week to week. The Office - A mockumentary on a group of typical office workers, where the workday consists of ego clashes, inappropriate behavior, and tedium. Based on the hit BBC series. To be honest, this series wasn't as good after Steve Carell left, but the final episode was good enough to redeem the loss. The West Wing - The West Wing ventured where no other TV series had gone before: an extraordinarily intimate look at an American President and the inner workings of the White House. Experience all the crises, triumphs, lofty idealism and hard realities of the acclaimed series in this complete seven-season DVD set. This is all 154 episodes of the series that won 26 Emmys, including 4 for Outstanding Drama Series. The West Wing was famous for it's dialog, this scene is no exception. At the moment all of these series are available on Netflix, hopefully Hill Street Blues gets added soon.